Juniper Networks introduced its JunosV Contrail Contrail Controller for software-defined networks (SDN). The JunosV Contrail, which is currently in trials with service provider and enterprise customers, virtualizes the network to enable seamless automation and orchestration among private and public cloud environments, elastic management of IP-based network and security services, and a "Big Data for Infrastructure" offering for enhanced analytics, diagnostics and reporting. It leverages intellectual property from Contrail Systems, which Juniper acquired earlier this year. The SDN controller will be the first in a JunosV Contrail family of products. The JunosV Contrail family of products is scheduled to be available for purchase in the second half of 2013 under the Juniper Software Advantage licensing program. "Customers are looking for agility in their networks. 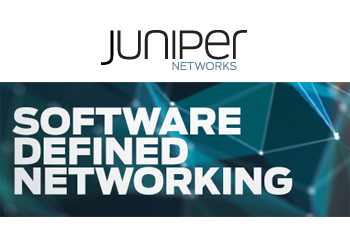 With JunosV Contrail, Juniper will deliver a network infrastructure that meets customers' immediate and long term needs. The response from our trial customers has been overwhelmingly positive and from a roadmap perspective, we are delivering on our SDN strategy ahead of schedule. From our systems to a growing portfolio of new SDN software, and a cloud-oriented software licensing model that grows with our customers' needs, Juniper provides a simpler and lower risk option to begin the transition to an SDN future," stated Bob Muglia, executive vice president, Software Solutions Division, Juniper Networks. 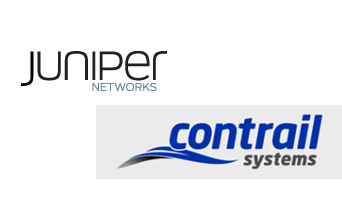 In December 2012, Juniper Networks agreed to acquire Contrail Systems, a start-up developing software defined networking (SDN) solutions for approximately $176 million in cash and stock. The Ethernet Alliance has formed three new subcommittees: 400GbE, Access Networking, and Roadmap. • 400GbE – Chartered to support the definition and development of the next speed of Ethernet, the subcommittee will support 400GbE through consensus building around standardization requirements and efforts, as well as promoting greater awareness and understanding of 400GbE technologies both internally and externally. • Access Networking – The subcommittee will be focused on helping foster new developments in Extended EPON and EPoC, providing a forum for gaining consensus on the future of EPON, and supporting current and future IEEE 802 wireline access networking projects. • Roadmap – Acting as a platform for building consensus on the past, present, and future of Ethernet, the subcommittee will be dedicated to gathering and sharing data relative to observed deployment models and applications. It will also deliver actionable roadmaps for both future projects and related enabling technologies. The three new subcommittees join eight existing committees spanning a broad spectrum of technologies and segments, including BASE-T, Carrier Ethernet, Ethernet in the Data Center, Energy Efficient Ethernet (EEE), 40G and 100G Ethernet, Next Generation Enterprise Cabling, Power Over Ethernet (PoE), and Higher Speed Modular IO. They also mirror recent developments, such as the launch of an IEEE study group exploring development of a new 400 Gbps Ethernet standard. "We’ve reached an inflection point in Ethernet’s timeline; there’s a cascade of exciting developments – the race to 400GbE, for example – that are advancing this seminal technology farther and faster than at any other time in its 40-year history," said John D’Ambrosia, chairman, Ethernet Alliance, and chief Ethernet evangelist, Dell. "It’s moments like this when we have a wave of emerging technologies and projects that the need for organizations with the capacity for industry consensus building, such as the Ethernet Alliance, is never clearer. All of the dynamic energy we’re currently seeing in the Ethernet ecosystem is being reflected internally; as the Ethernet Alliance continues to grow and expand globally, we’re perfectly positioned to coalesce these new innovations and momentum into concrete successes." 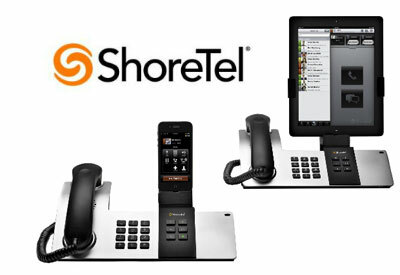 ShoreTel introduced an enterprise desktop phone docking station for iPhones and iPads. The ShoreTel Dock pairs iPhones and iPads with the ShoreTel Mobility app, delivering unified communications with voice, instant messaging (IM), presence and conferencing on their iOS device. Users can place and answer calls by simply picking up the handset and dialing a number on the dial pad or on the device’s screen. Coriant, the former optical networking division of Nokia Siemens Networks, is now an independent company following completion of the deal by Marlin Equity Partners. Broadcom introduced a new generation of 40 nanometer (nm) enterprise and carrier class PHY devices that offer a 40 percent power reduction compared to previous generation 65nm GPHYs. The new devices are fully compliant to EEE for 1000BASE-T and 100BASE-TX as defined by the IEEE Std 802.3-2012 standard. Key features include support for Synchronous Ethernet, 1588 precision time synchronization, Y.1731 latency performance monitoring, 1ns 1588 PTP time stamp resolution, and enhanced cable plant diagnostics that detect cable plant impairments. Broadcom's Energy Efficient Ethernet (EEE) portfolio with AutoGrEEEn® Plus technology delivers up to 70 percent lower power consumption and extends energy savings to legacy MACs and non-EEE devices. The technology can be deployed when the device is in Energy Efficient Ethernet (EEE) mode communicating with an EEE link partner or when linked to a non-EEE enabled device. "Highly precise synchronization, accurate latency management and power consumption are critical considerations for carrier Ethernet networks as they prepare for 4G deployment. The BCM54290 PHY family is tailor-made for use in stringent time synchronization applications and designed to address the challenges faced by LTE and LTE-Advanced networks," said Dr. Ali Abaye, Broadcom Senior Director of Product Marketing, PHY. "Enabling system OEMs and service providers to meet increasing traffic demands, Broadcom's new generation of PHY products enhance both power efficiency and performance." The BCM54290 PHY is now sampling with production volume slated for 1H14. Gigamon continues to build its Visibility Fabric architecture with the introduction of a a new Visibility Fabric node, the GigaVUE-HB1 for branch offices and the implementation of a new Graphical User Interface (GUI) for Gigamon’s H Series product line. 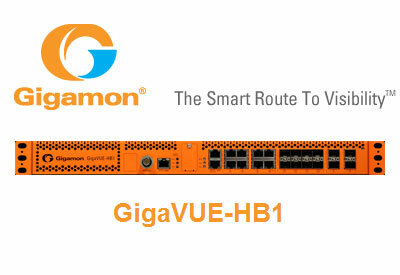 The new GigaVUE-HB1 extends Gigamon's pervasive and intelligent visibility and packet modification into a customer’s remote sites and enables remote network monitoring by tunneling monitored data back to a central site for tool centralization and consolidation through a unified Visibility Fabric architecture. The platform comes with GigaSMART technology, which offers the ability to normalize traffic and perform VXLAN decapsulation for monitoring virtualized network overlays, ERSPAN termination, packet de-duplication, packet masking and packet slicing, among others. The new graphical interface is being introduced as part of the H Series 3.0 OS Software release, which also enables customers to utilize Gigamon’s GigaPORT-C01 100Gb blade for visibility into full line-rate 100Gb Ethernet connections. Gigamon is also introducing a proof-of-concept application called FlowVUE which will offer flow-based correlation services. Gigamon recently announced a strategy to develop a unified Visibility Fabric architecture that would ultimately deliver orchestrated visibility across physical, virtual and software-defined networks (SDN). These additions to the Gigamon portfolio further that strategy by extending the reach of the Visibility Fabric architecture to remote locations and providing ease of use and configurability for simplified management and provisioning of monitoring policies. FlowVUE, upon release, will help tame big data and allow for the ability to intelligently correlate network traffic for tool optimization. FlowVUE will join the session-aware flow de-duplication application as the second visibility application to be developed by Gigamon in the Applications Layer. These applications offer flow-based correlation services to tools, ensuring optimal tool utilization and performance by making network-based big data more manageable. Gigamon said it plans to continue to work with technology partners and other third parties to develop additional applications as well as continuing to work on in-house applications. Sprint launched a CloudCompute infrastructure-as-a-service (IaaS) solution that integrates CSC’s virtualized, utility-based cloud computing solution with its Sprint Global MPLS network. Sprint said its "cloud-aware" Global MPLS network is congestion-free, designed for low latency and jitter needed for critical, real-time business applications. It offers Class of Service (CoS) at no additional charge to eliminate bottlenecks in a customer’s network through prioritization. Application performance is optimized through network-based Quality of Service (QoS), and Sprint’s comprehensive service level agreements enable full support of any and all enterprise cloud applications. Big Switch Networks named Prashant Gandhi as vice president of product management, where he will oversee the company’s complete Open SDN Suite, which includes Big Network Controller, Big Virtual Switch, Big Tap and Switch Light, as well as Project Floodlight open source projects, including the Floodlight controller, Indigo and other applications contained with the project. Prior to joining Big Switch, Gandhi was senior director, product management and marketing, data center group at Cisco where he led product management of Cisco ONE Controller, Nexus 1000V virtual switch, VXLAN-based network virtualization as well as Cisco’s SDN and cloud network services product and go-to-market strategy. He came to Cisco in 2009 through the acquisition of Rohati Systems where he was CEO and co-founder. Prior to Rohati, Gandhi held product positions at Cisco in both enterprise and service provider business groups. Clearwire's Board of Directors is recommending to the company's stockholders that the proposed acquisition by Sprint is the best strategic alternative for the company, representing "fair, attractive and certain value, especially in light of the company's limited alternatives and the well-known constraints of its liquidity position." 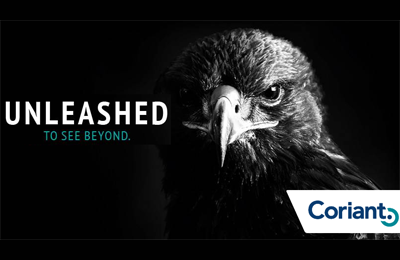 Clearwire's board noted that the $2.97 per share offered by Sprint represents a substantial premium to the price received by other sophisticated investors in recent transactions. For example, Google received $2.26 per share for its Clearwire Common Stock on March 1, 2012, and Time Warner received $1.37 per share for its Clearwire Common Stock on October 3, 2012.